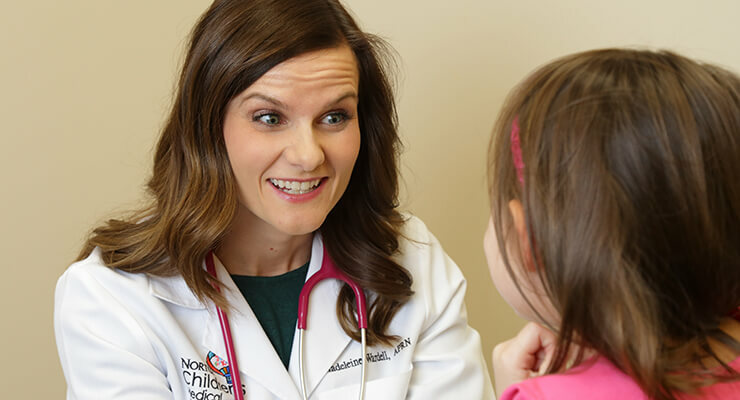 New mom or new to town - meet a pediatrician at a Newbie Night this month | Norton Children's Louisville, Ky.
Norton Children’s Medical Associates monthly open houses allow parents to meet staff and see our practice locations. These “Newbie Nights” are perfect for expectant or new-to-the-area parents to meet providers and ask questions. Those looking for a new pediatrician are welcome, too. Join us this month for an open house at a practice near you to meet staff and see the Norton Children’s difference. Norton Children’s Medical Associates – Broadway partners with community organizations and programs to provide care for children and their families in the most underserved areas of Louisville. Thanks to a gift from the Ulmer Family Foundation, the Ulmer Family Wellness Program was established to provide access to programming for all aspects of child and family health. Services include a social worker who can address behavioral health needs and family enrichment opportunities, such as parenting workshops, child care, safety supplies, books, bike helmets, car seats, baby care items and transportation vouchers. Norton Children’s Medical Associates – Broadway also is home to Dare to Care’s first Prescriptive Pantry, a food pantry located within a health care setting. Our providers can assist with food security and offer pantry food on-site to those who need it. This is coupled with conversations about how nutrition relates to health and budget-friendly recipes developed by the office’s nutrition team.